Lester Raymond Robey was born the 15th of June, 1915, the first of two sons born to Wilbur Robey and Bessie Jane Kinsley in Georgetown, Monongalia County, West Virginia. After losing his mother at the age of six, he grew up on the Robey farm, developing a love of the outdoors, surrounded by his family and friends. In 1935, he married Genevieve Leona Brown, eldest of the six daughters of Roy Kessler Brown and Florence Augusta Rowe. Lester and Genevieve would have three daughters and a son. Following his marriage, Lester Robey began work as a coal miner for Koppers Coal Company’s Eastern Gas & Coal in Everettville, West Virginia, as a loader. In 1936 he moved to Jordan Mine No. 93 of the Consolidation Coal Company where he worked for the next seven years. 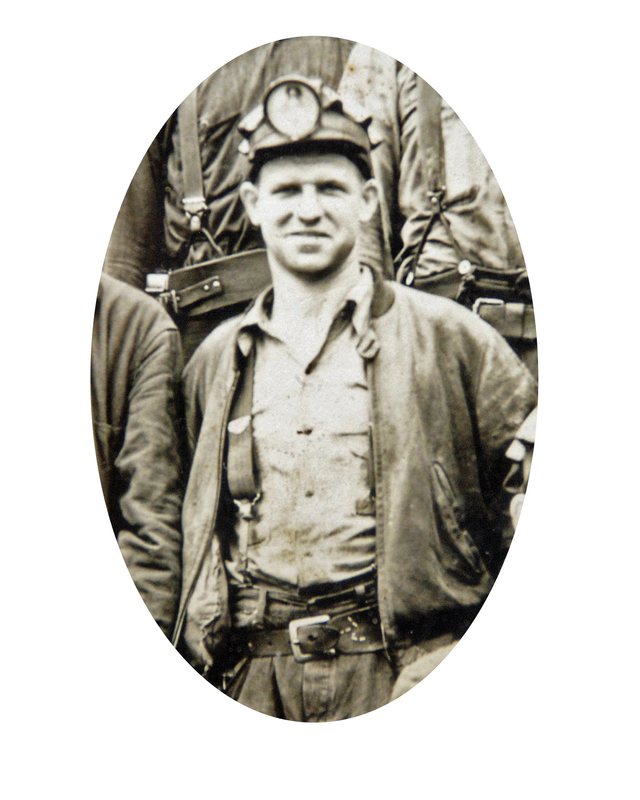 In 1943, he went to work for the South Union Coal Company (Jamison Mine #12) at Edna Gas and remained there until 1966 when he returned to Jordan Mine No. 93. Lester retired from coal mining in 1977 as a fire boss. An avid gardener and farmer, he raised cattle, chickens, pigs, and kept horses for his son and eight grandchildren. Lester loved to hunt rabbits with his beagles, fish for bass in farm ponds, and go trout fishing up on Cheat and at Smoke Hole. He enjoyed electronics, carpentry, and all things mechanical, but particularly loved being out-of-doors. He died of a stroke at his home in Marion County in 1988.